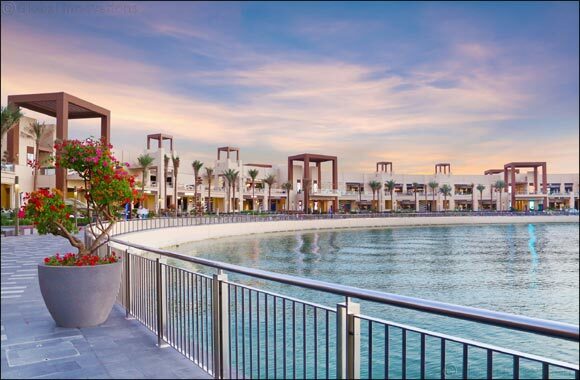 Dubai, 25 March 2019: The Pointe at Palm Jumeirah – Dubai's dynamic new waterfront dining, entertainment and leisure destination – is celebrating Mother's Day all week until 31 March, with a host of fabulous dining, wellness and entertainment experiences. Earn exciting rewards for your mum with a special Play and Win promotion, and enjoy family entertainment, including kids' games, arts and crafts activities, and live music this weekend from 4pm to 11pm to celebrate the occasion. Tips and Toes: Pamper mum with 20 per cent off salon treatments. Offers are valid every day and can be redeemed at participating outlets at The Pointe until 31 March. With 70 restaurants, shops and attractions offering something for all tastes, ages and nationalities, The Pointe is Dubai's new hub for seafront dining, shopping, socialising and relaxation.